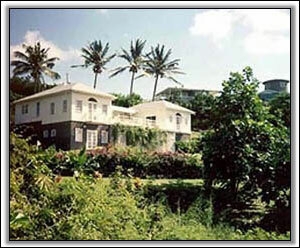 This beautiful West Indian style house with gingerbread trim is located high on Nevis Peak on the Zetlands Plantation Estate in the midst of gorgeous and mature gardens. Rowan House was designed for privacy and consists of three structures built around a dining verandah that has a small plunge pool. 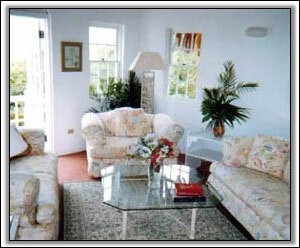 It is very comfortably furnished and there is original artwork by the owner throughout. 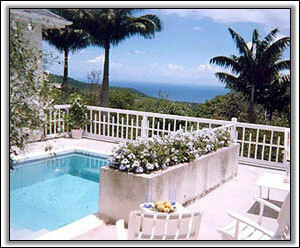 This very appealing house has constant cool breezes and offers marvelous views of the Caribbean and nearby islands. 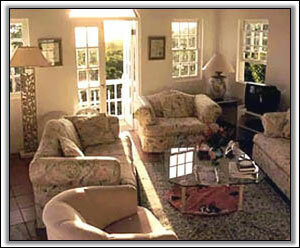 Rowan House is a pleasant walk away from the Hermitage Plantation Inn, known for their hospitality and lovely meals. 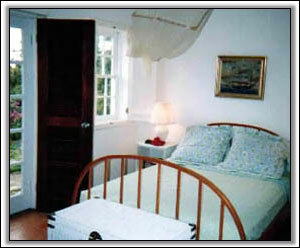 Bedroom (downstairs) with queen-size bed, sitting area, ensuite bath and French doors opening to the garden. Master/bedroom with queen-sized bed and ensuite bath. In a separate study, are bunk-beds (for the owners small children). 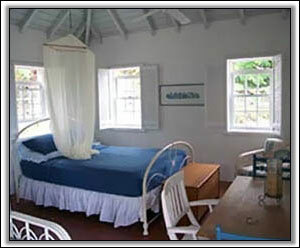 The master bedroom is located across the verandah from the Main House. 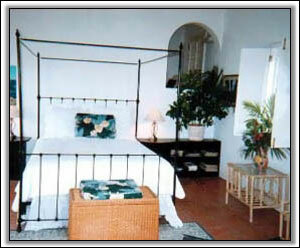 Bedroom with queen-size bed, ensuite bathroom, and sitting area. As it is built above the garage and laundry room, it has especially good views! 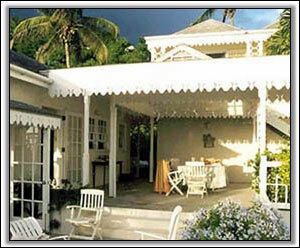 You walk down the staircase to the dining verandah.